EVERY FORKLIFT TRUCK REQUIRES A REGULAR THOROUGH EXAMINATION BY LAW. 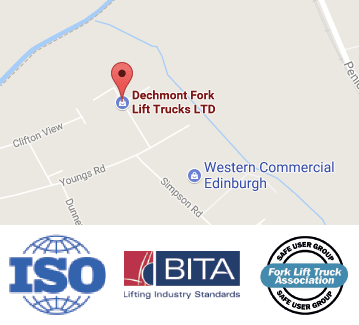 Dechmont Forklift Trucks provide full Thorough Examination Tests on all Forklift Trucks and Warehouse Equipment. We are proud to provide this service to the highest standards required that exceed those of the LOLER 98. As with a car and an MOT, a Forklift Truck has the Thorough Examination to make sure it’s safe to use. A forklift is a heavy, complex vehicle and it could cause a serious accident if it’s not performing at optimum level. Safe lifting and handling can only be secured by ensuring that the operators’ equipment is maintained, serviced and checked to the standards set out in a Thorough Examination. There are many ‘so-called’ Thorough Examinations that simply do not meet the full legal requirements as they only satisfy the LOLER 98 regulations, but overlook crucial parts, such as brakes. These type of examinations leave you open to prosecution under PUWER 98 and the Health and Safety at Work Act, or even worse could lead to a fatal accident in your warehouse. Even if a forklift truck is hired, the law states that you, the employer or forklift operator, are responsible for ensuring it is safe. All of our Engineers have Thorough Examination Qualification to carry out inspections. Make sure you don’t do Thorough Examinations by half, always look for the CFTS logo to make sure the full examination is carried out, as we do here at Dechmont Forklift Trucks. It is very important that all types of Forklift Trucks have a Thorough Examination carried out annually as it is a Health and Safety Requirement. Thorough Examination is a complete check on your truck and NOT A LOLER – a LOLER only checks certain aspects of a Forklift Truck. Depending on what type of Forklift Trucks and how they are being used could require Thorough Examination carried out from 2 Months to a year depending, for example, if the truck is using an attachment, or if a Forklift is being used occasionally with a man-up cage, then that Forklift and Man up cage should be Examined every 6 Months. If you are not sure contact Dechmont Forklift Trucks and we will be only too happy to furnish you with the correct information regarding your use of your Forklift Trucks and the required intervals for your Trucks thorough examination. How Often is the Thorough Examination Carried Out? The Thorough Examination is carried out at least once a year on every Forklift Truck. Depending on how you use it and how often you use it, you may have to have it tested more often. There is an official website where you can check how often each of your forklifts are examined – contact us for more details. Is Your Examiner CFTS Accredited? The examination should be of excellent quality, as if the test is not performed to the stringent standards then you could end up facing legal action, or a fine. The examiner who carries out the Thorough Examination should be CFTS accredited. CFTS stands for Consolidated Fork Truck Services. If it passes the test that’s been carried out by a CFTS accredited examiner, then you know your truck is in tip-top condition and you have committed to ensuring the safe work environment of your operators. If you constantly have your forklifts tested regularly, then you’ll prevent them from developing problems which could be costly in the long run. Have a full service once yearly too and that way any problems can be fixed right away, and your vehicles will be in good enough condition to pass the ‘Thorough Examination’ without any pre-exam nerves. There are some simple points to consider with the ‘Thorough Examination,’ and we’ve listed some of them below to help you. 1. Find out who is responsible to organise the Thorough Examination. If you’re the employer, then it’s your responsibility. 2. Make sure your operators inspect each vehicle daily before they use them. 3. Make sure you have a workable system where operators can report faults quickly and in a timely fashion. 4. Have each forklift truck serviced on an annual basis. 5. Make sure when a Thorough Examination is carried out, it’s done so by an accredited CFTS examiner. If you have any further questions regarding the Thorough Examination or how to find an accredited CFTS examiner, then please get in touch with us here at Dechmont Forklift Trucks, and one of our professional team members will be more than happy to help you. We have many years’ experience in the forklift truck business and we know every aspect of truck maintenance, examination and care, so there’s not much we don’t know! 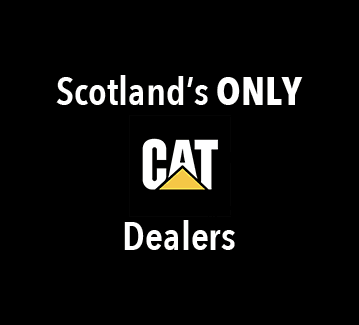 Give us a call and we’ll be happy to talk about your Forklift requirements. A Thorough Examination is NOT a LOLER. Many people think that by having a LOLER Test performed on their vehicle, that they are ensuring it’s safe running. This is simply not the case. A Thorough Examination ensures the safe operation of many more points. Be Safe and Protect Your Operators – Get a Thorough Examination done regularly!